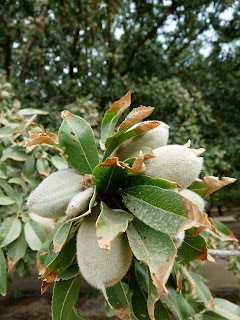 Reeling from a water allocation reduced to 20 percent delivered through the Westlands Water District in western Fresno and Kings County, and the prospects of zero water next season, many almond growers are facing what could be their next-to-last production year. 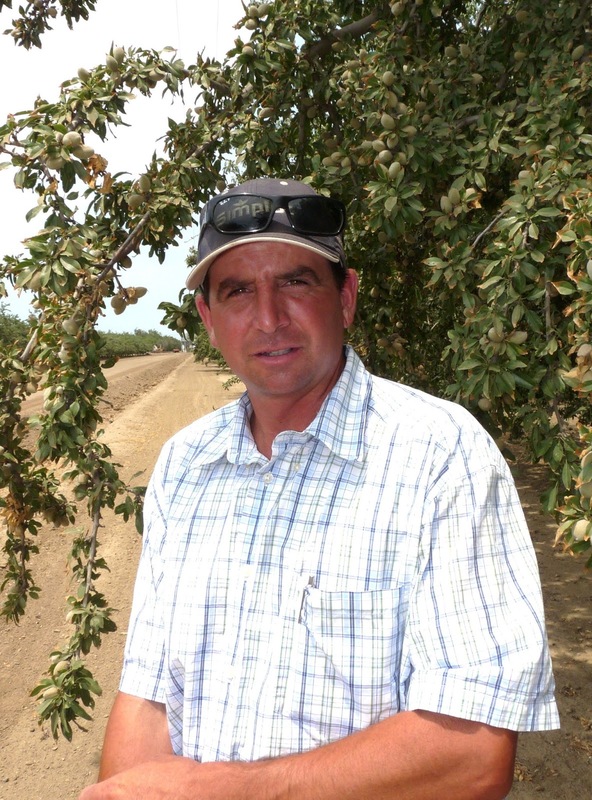 “The short term future is completely unknown and very dire,” said Curtis Stubblefield, plant manager with Silver Creek Almond Company near Firebaugh, Calif. “I do not see anything positive on the water standpoint out here. There is nothing politically that sounds like it’s going to get done,” he noted. The water shortages are severely affecting communities such as Firebaugh, and Mendota, in the federal water district that runs throughout the West Side of Fresno County. Unemployment remains high because nearly 25 percent of row-crop land sits idle due to lack of water. if there a zero allocation of water next season. 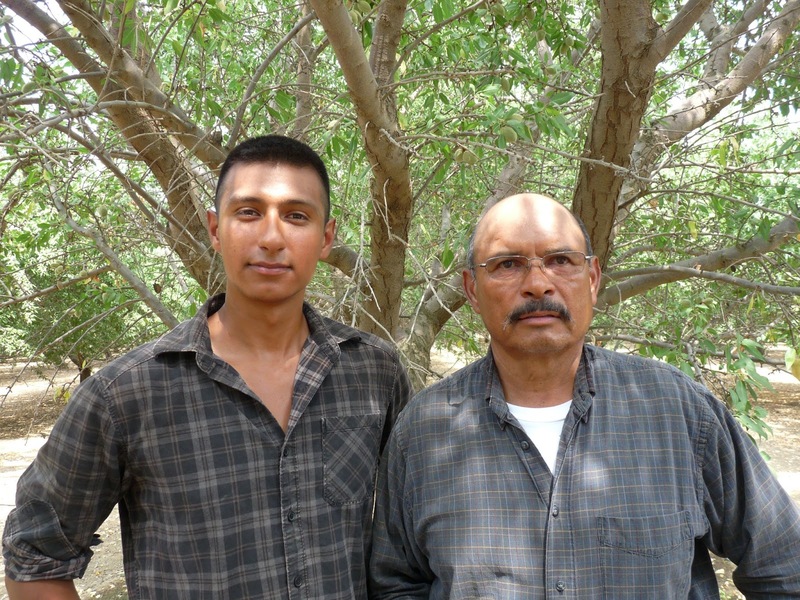 “The situation is halting many decisions that need to be made,” said Andrew Vargas who farms with his dad, Arnaldo, off Panoche Road and Fairfax on the West Side. “We spend our day looking for water instead of looking after the trees,” Arnaldo said. Westlands encompasses more than 600,000 acres of farmland in Fresno and Kings Counties. The district serves about 600 family-owned farms that average 900 acres each, As of June 20th,Westlands was able to secure 135,000 acre-feet of supplemental water that partially meets the demands of farms. Still, even with this supplemental water, farms are critically water-deficient for their permanent crops. boron is causing to his trees. Marty Acquistapace has been farming 2,200 acres of almonds for Blackburn Farming Co., and its almond processor, Silver Creek Almond Co., all west of Mendota. Acquistapace joined the company eight years ago, when water was more plentiful. Due to the 2009 first biological opinion in 2009, water allocations started at an unprecedented zero, but following the historic water march it was raised to 10 percent in Westlands Water District. Then came 2010, 2011, and 2012 all at 40 percent allocations. As irrigation water flows from either the wells or Westlands Water, it’s pressurized and sent out to the orchards in double drip lines down each row. The water flows from one gallon-per-hour emitters down into the soil to the parched tree roots struggling to meet the evapotranspiration demands on 110-degree days in early July. “Twenty percent allocation is only ½ acre-feet for the trees. To compensate and get through the almond season, we add well water to help irrigate our mature trees,” noted Acquistapace. “But our well water has elevated levels of sodium and boron, both of which cause severe leaf burn and hurt this year’s and next year’s crop. Yet, we have to come up with 3.5 acre-feet; unfortunately, we were able to purchase only a limited amount of water from another district, so the trees are showing signs of extensive leaf burn,” he said. “The toxic levels of boron and sodium cause defoliation and a slow decline of the trees. “Conditions will be far worse in August and will establish a poor production season for next year due to the stress,” Acquistapace said. “We found leaf scorch at the leaf tips and margins, in 2009, that halted new growth. At that time, we compared a water sample from fresh Westlands water with a sample from one of our better wells,” he said. The test showed that Westlands Salinity EC was 0.5, and our well was 1.2. Similarly, Westlands sodium Meq./L test was 1.6, and the well was 13.7. When it came to boron, Westlands showed 0.2 ppm, while the well water was 2.0. The results demonstrated that the well water values were excessive for agricultural purposes.